A fire broke out in a restaurant in New Market area close to the Kolkata Municipal Corporation head office in the city this morning. 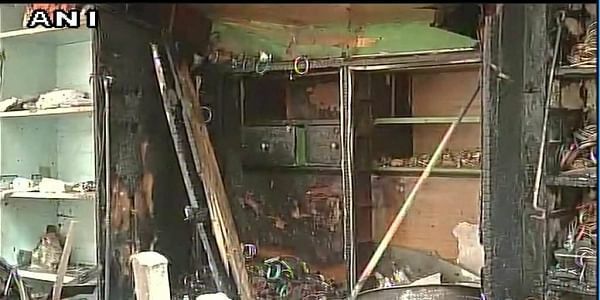 KOLKATA: A fire broke out in a restaurant in New Market area close to the Kolkata Municipal Corporation head office in the city this morning. "Three fire tenders rushed to the spot soon after the fire was reported at 10.25 am. Apparently, the cause of the fire is due to explosion of a cooking gas cylinder," a Fire department official said. Details would be known after a detailed investigation, they said adding that the fire is now under control and there was no report of any casualty.